DAYTONA BEACH, Fla. (Jan. 27, 2019) – WeatherTech Racing drivers Cooper MacNeil (Hinsdale, Ill.), Toni Vilander (Finland), Dominik Farnbacher (Germany), and Jeff Westphal (San Mateo, Calif.) had their day end unceremoniously Sunday with two hours and thirty minutes remaining in the 57th IMSA WeatherTech Rolex 24 At Daytona at Daytona International Speedway. Being in contention to win, with under three hours to go, is the position that every team wants to be in at the end of the twice around the clock race. But unfortunately, it was not meant to be. Vilander was entering the Bus Stop, in low visibility conditions due to rain and car spray, when his No. 63 WeatherTech Racing Ferrari hit the back of the No. 540 Porsche. The resulting contact put the Ferrari out of the race and ended the team’s day. 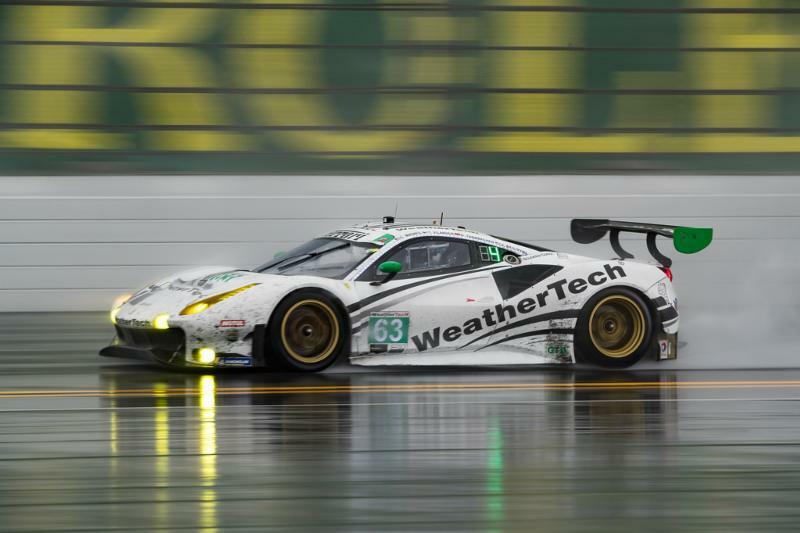 Today’s rain and standing water on the track definitely created hazardous driving conditions – conditions so treacherous that IMSA decided to red flag the race at 7:21 a.m. After the hour and 45 minute red flag delay, Farnbacher took the green with about five and a hours to go and immediately he had to take evasive action to avoid an accident right in front of him that could have ended the team’s day much earlier. 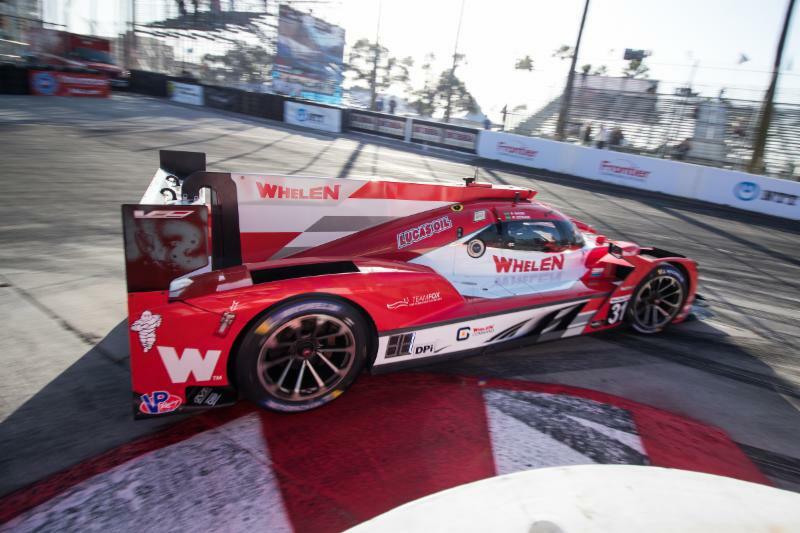 “On the first restart, there was a big crash on the front straight,” Farnbacher said. “I was lucky I avoided it early enough. I saw a slow Porsche and I pulled all the way to the right because I did not know what was going on. I saw another Porsche coming from the back and just T-boned the Lamborghini in front of me.